SeniorHomes.com noted, "There have been a lot of new retirement books published recently to help seniors plan the next chapter of their lives. In the past few weeks, our readers have chosen which books they think should be selected as the winners and finalists of our Best of Senior Living Awards." Filled with smart practical advice, engaging anecdotes, and helpful exercises, The Couple's Retirement Puzzle will guide couples to a fulfilling retirement they can enjoy and celebrate together. Although challenging in some respects, retirement can be the best time of life, but for couples, there's far more to it than cashing in a 401(k). The most important asset couples have during retirement is each other, yet many couples aren't sure where to begin to prepare for retired life or what to consider as they do. The Couple's Retirement Puzzle provides communication strategies for having effective conversations, compromising and problem-solving as well as reveals ten key conversations couples should tackle before retirement to ensure a rewarding second half of life together. Dr. Dorian Mintzer, M.S.W., Ph.D., B.C.C. (Board Certified Coach) has written about many topics pertaining to the second half of life and aging. She speaks to professional and community groups. As a coach, she helps 50-to-70 something women, men, and couples reinvent themselves in the next stage of life. She's the founder of the Boomers and Beyond Special Interest Group for interdisciplinary professionals, and the 4th Tuesday Revolutionize Your Retirement Interview with Experts Series for professionals and the public. She is co-author of The Couples Retirement Puzzle: 10 Must-Have Conversations for Creating An Amazing New Life Together and has also contributed to Live Smart After 50! ; 65 Things to Do When You Retire: and 65 Things To Do When You Retire: Travel; Not Your Mother's Retirement; 70 Things to Do When You Turn 70; 80 Things to do When you Turn 80; Six Secrets For a Happy Retirement; Remarkable and Real; and Making Marriage a Success. She is also co-producer of The Career Playbook: Second Half Plays. 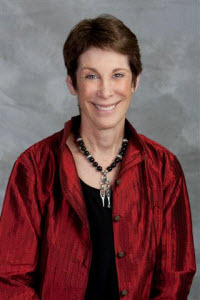 For more information on Dorian Mintzer, visit her site at http://www.revolutionizeretirement.com. Her book is available for purchase on Amazon.com.